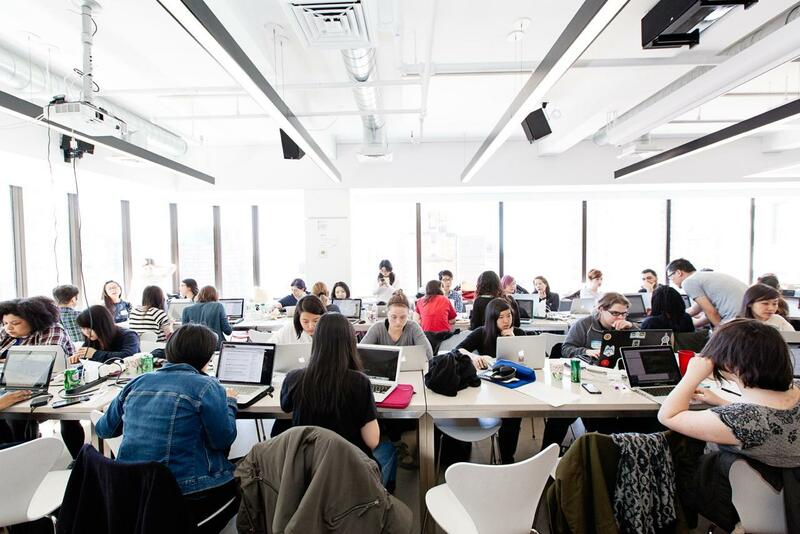 SheHacksNYC is a weekend-long convening of engineers, software developers, designers, data nerds, marketers, visionaries, and anyone else with an interest in starting a business. Something you want to work on or something you are currently working on and want help with. Pitch it here! Founders submit ideas to hack! Founder and CEO of Pantegrion Capital. She currently serves on the Board of Directors of NY Angels. CTO of PeerIQ, focused on growing engineering team and building the firm’s data and analytics products. Active angel investor with 37Angels who works with early stage start-ups as a strategic and financial advisor. Associate at Time Warner Investments, w/particular areas of focus of ad-tech, online video, social media and gaming. Check out last year's prizes! Assistant Dean at Columbia Business School & founder and CEO of 37 Angels. Angela is an educator & entrepreneur who inspires in both the classroom and the investment arena. Awesome Spotify Branded Headphones to the winning team. 3 Months of Spotify Premium to all participants. 20% off Classes and Workshops at GA for the winners. 50% off of Classes and Workshops at GA for any attendee that hasn't taken a course at GA before. 3 Mo free access to General Assembly's Front Row for all attendees. 10,000 free SMS messages to the team winning the best use of the Twilio API. $20 promocode to all workshop attendees. A special Saturday Meditation with Miriam Bekkouche community manager of the 37Angels, and founder of The Brain Spa. Miriam will walk us through 3 mindfulness tools & a short guided meditation. I'm Shmo! I'm an iOS dev on the ad-products team at Spotify. I work on getting those nice ads onto your iPhone if you're a free user! I work on the Analytics team at Spotify. I support the data needs of the Content team and help to make better business decisions surrounding content strategy, licensing and negotiations, and relationship management with labels. 20 years industry & startup experience developing innovative mobile, web, wearable and TV solutions. VP Engineering @Cheerity, Organizer @Google Developer Group (New York, Hudson Valley) and @Meteor Hudson Valley. Talk to me about mobile (Android), front-end (React, Angular, Polymer) or full-stack (Meteor). Managed full stack app dev, DevOps, and ITOps. Specialized in middleware, big data, and PaaS products while contributing to open source projects, such as Infinispan. Ray enjoys traveling and adventures. Developer Evangelist at Twilio, focused on creating fun and entertaining apps. His apps have been used by hundreds of thousands of users and covered in multiple media outlets. I work on projects and programs that help drive organizational effectiveness across Spotify. Chief Product Officer and Software Architect for School Yourself. Organizer of Startup Weekend NYC and avid baker. OR Books later this year. efforts to address the gender gap in technology. Developer Advocate for the Google Cloud Platform. Comes from Rackspace as a software engineer building the RackConnect cloud-to-dedicated-hosting product. He's often on the running trail, volleyball court or kickball field. Leslie is currently the SVP of Engineering and Technical Operations at SOLS building a platform for mass customization. She is excited to disrupt physical product development through the application of 3D printing and continuous delivery principles and practices. I'm Mack! I'm a recent SUNY Buffalo graduate and software engineer at Facebook. I work on infrastructure and performance. I love to hack on all sorts of things, especially hardware! I could only be described as a general-purpose software engineer. Formerly of Google, currently of Facebook. A software engineer at Facebook with a background in biology and computer science. Previously worked at Google, Palantir, and medical research. Product Manager at MakerBot, Founder NYC Apps, passionate about telling stories through motion pictures and photography. Program manager at Google and founder of TeamX.co - building teams around moonshot ideas. Katy develops and executes strategies to solve complex problems using technology, with a focus on achieving product excellence. She has a background in Computer Science with over 15 years of experience in the tech industry.